Not so long ago, black and blue were considered a sartorial sin. Now, not only has this match-made in heaven pairing marched its way down the catwalk, but it’s equally marched its way into our homes and hearts. Taking their cues from the fashion world, design darlings of the décor world have been taking this trend into the home, where it’s found its way into almost every room. 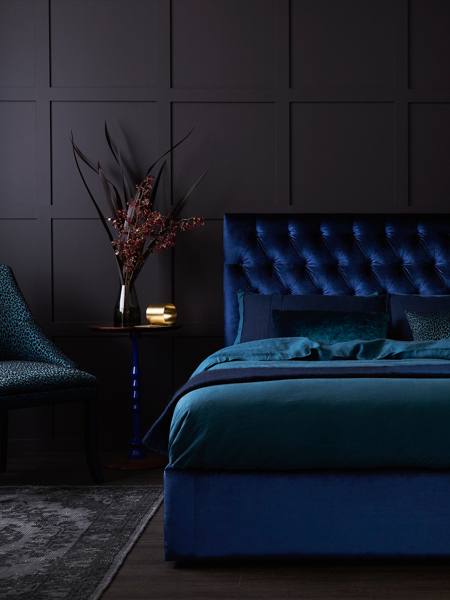 Dark and moody in all the right ways, black and blue are a crowd favourite and for very good reason. But if you want to lighten the mood, consider marrying black with vivid tones of cobalt, teal and sapphire and lighter blues like robin’s egg and sky blue. So stay ahead of the style game with some creative combinations.